Nephrologist in Cincinnati Arshdeep Tindni M.D., Loren Cohen M.D. Dr. Tindni has been practicing Nephrology for 5 years. Board certified in Nephrology and Internal Medicine, Dr. Tindni has presented research and abstracts on the national level regarding prevention and treatment of acute renal failure. His clinical interest is in Nephrology, including chronic kidney disease, hypertension, ESRD and preventative medicine. He is a member of the American Society of Nephrology (ASN), the National Kidney Foundation (NKF), and the Renal Physician Association (RPA). Dr. Tindni finished his medical school at the University of Delhi. His interest in medicine led Dr. Tindni to pursue a residency and training in Internal Medicine at the University of Tennessee. He then completed his fellowship in Nephrology at the University of Cincinnati. 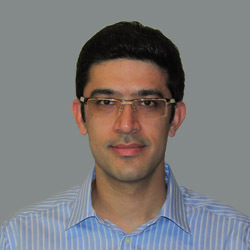 Dr. Tindni is a Fellow of the National Kidney Foundation (FNKF) as well as the American Society of Nephrology (FASN). Arshdeep has also enjoyed participating in multiple medical mission trips to medically underserved area. 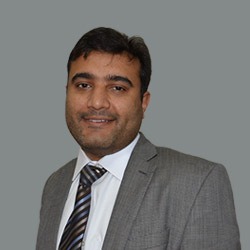 Arshdeep lives with his family in the Kenwood area. He enjoys spending time with family as well as playing sports. He is always keen to educate the community on preventative medicine practices; he is an executive member of the local NKF chapter. Vishesh Puri, M.D., was drawn to a career as a physician because of his passion to make a difference in human lives. He completed a nephrology fellowship at the Albert Einstein Medical Center in Philadelphia, PA after a Physician Leadership fellowship at the University of California San Francisco and residency at MacNeal Hospital in internal medicine, where he was awarded “Resident of the Year”. He is a graduate of the Government Medical College, Patiala in India. Puri is professionally affiliated with the American Medical Association, the American Society of Nephrology, and the National Kidney Foundation. He is a diplomate of American Board of Internal Medicine and holds additional certifications with ECFMG (Educational Commission for Foreign Medical Graduates). He strongly believes that being healthy is the only real wealth a human being can possess, and in practicing medicine and nephrology, he hopes to make a major impact in the lives of many patients and their families. He takes deep interest in caring for his patients. Puri likes to spend his spare time with his wife and two children, exercising, and traveling. Dr Cohen completed his undergraduate training at Harvard University and moved back to his home state of Iowa where he completed his medical training including a nephrology fellowship. His nephrology training was interrupted for two years where he served as a major in the United States Army at Fort Campbell, Kentucky. He ran the hypertension clinic on base and was director of medical education for the department of internal medicine. His interest in hypertension, especially resistant hypertension, grew out of that experience. Following the completion of his fellowship, Dr. Cohen remained on the faculty of the University of Iowa of four years where he taught medical students, residents and fellows, and did basic research. During that time, his research was published in several of the most prestigious medical journals including The Journal of Clinical Investigation, American Journal of Physiology, Kidney International and The Journal of General Physiology. 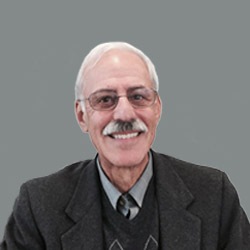 Dr. Cohen moved to Cincinnati in 1980 where he has been practicing nephrology and hypertension until the present time. He has served as medical director of the Cincinnati Kidney Foundation and Treasurer of the Medical Staff at The Jewish Hospital. He has won teaching awards at both The Jewish Hospital and The Christ Hospital. His clinical observations based on experience in Cincinnati have been published in The New England Journal of Medicine, American Journal of Kidney Diseases, The Peritoneal Dialysis Bulletin and others. Dr. Cohen is married with three children and five grandchildren. He enjoys playing golf, music and bridge.